Sitelock is a popular cloud-based website security malware removal tool, which comes with hosting plans offered by hosting companies like Bluehost. Sitelock is used by more than 5 million websites all over the world. The main reason for these many installations is people are not researching before buying sitelock. So, in this article let us discuss whether sitelock is necessary for your website. Sitelock offers four different plans with different features. Although, Prices of these plans are not explicitly mentioned. You can request a quote from them. This is a starter plan with features such as daily vulnerability scans, automatic malware removal, web application firewall, basic DDoS protection and advanced website acceleration. Sitlock claim this to be a complete website protection plan with various features like SQL injection prevention, XSS injection prevention, illegal resource access prevention, remote file includes prevention and OWASP top 10 threat protection. This is another plan provided by sitelock which comes with additional features like infinity scanning, vulnerability repair and manual malware removal. This is where we need to think twice before deciding to buy sitelock. 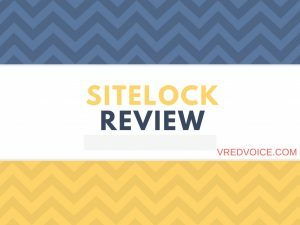 There are lot of negative reviews for sitelock and its features.Although most of the reviews might be the creation of the competitors. Still we cannot ignore every negative review, in-fact it is really hard to find a single happy person using sitelock. There are lot of websites out there which got hacked even after using sitelock. Once your website gets hacked or injected with virus. You need to pay again to sitelock to remove these viruses. This doesn’t makes sense there is no reason to buy for the plan, if we need to pay again to recover the hacked website. Most of the complaints about sitelock is about their customer service. If we go by the reviews their customer service is ultra-poor. The main reason for using a security feature like sitelock for a website is to prevent hacking. But, if there are cases where sites are getting hacked even after using sitelock. Then I cannot find any reason to use them. Sitelock or any other service provider will not give you 100% security for your website. Your website is your responsibility. Use a content management system like WordPress. Make use of free plugins like WordFence instead of going to premium versions. Don’t install free themes, since their codes are opensource and your website gets prone to vulnerabilities. If your using a content management system like WordPress regularly update your themes and plugins. Last and the most important step is you need to take regular backups of your website. Such that even when your website gets hacked you can restore it easily. Please let us know what you think about sitelock in the comment section below.